Located in Southern Thailand, Hat Yai is one of the South's larger population centres and sits close to the Malaysian border. We have the best car rental deals in Hat Yai! 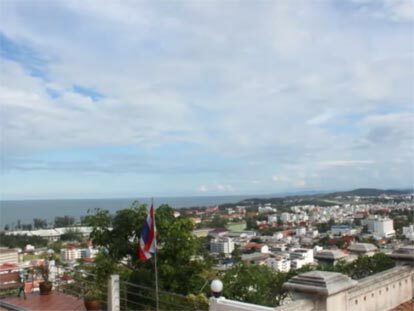 Hat Yai is a southern Thai city that is located very close to the border with Malaysia, and has a population of about 160,000 within the city, but 800,000 or more in the surrounding area. Being the largest city in the province of Songkhla makes Hat Yai Downtown the perfect place to hire a care when traveling this south-most region. CarHirePhuket.com’s Hat Yai pick-up point is located on 517/5 Moo 6 Tambol Kuanlung, and offers the best selection of rentals, as well as the best prices in the entire province. Our Hat Yai location also offers the safest and latest models of rental vehicles, built for any terrain, and also rents vehicles that get the best highway mileage. Search now and compare the best Hat Yai rental deals from top Thai and international providers. It couldn’t be easier, simply search and let us find you the best real-time rates. Picking up your car couldn’t be any easier — just visit our convenient pick-up location in downtown Hat Yai and drive away. If you’re flying into Hat Yai Airport you can also pick-up at Hat Yai Airport. Hat Yai was originally just a rail stop on the way to Malaysia from Bangkok, but over the years has grown into a business-Mecca as well as a spiritual hub for area’s hundreds of thousands of Muslim residents. The city of Hat Yai is also intersected by Asian Highway 2 and Asian Highway 18 that runs all along the Malay Peninsula, making Hat Yai a popular motoring stop as well as being a University town — hosting the Hatyai University as well as Ramkhamaeng University, which just opened up a new campus adjacent to the international airport. In addition to Hat Yai’s Muslim population, this city is also home to thousands of Chinese immigrants, and makes Hat Yai a diverse cultural melting pot for South Thailand. Visit the Kim Yong Market, where everything is sold at rock-bottom prices, from food to appliances to chocolate and video games. For even more shopping, see the Suntisook Market, where the same goods are sold at even lower prices. 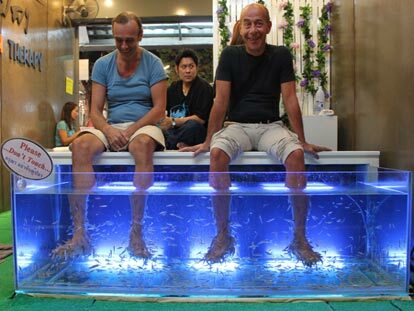 If all that market walking has made your feet hurt, try a foot massage at the famous Suporn Foot Massage Center located in the Lee Gardens Plaza on Prachathipat Rd. For filling your tummy with yummy, then Tha-Lay Thai Seafood or the Hansa Plaza Chinese Restaurant may be your best bet if near the rail station or airport. Also in this area is the Hatyai Resort and Golf Club that offers a range of relaxing sport and jubilation. 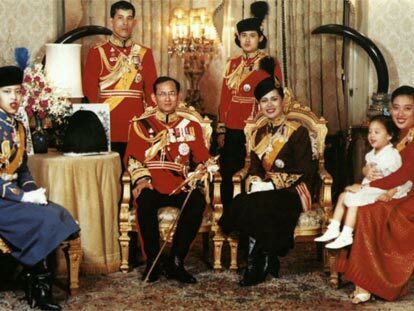 This special exhibition displays work from His Majesty as well as from other famous Thai contemporary artists.